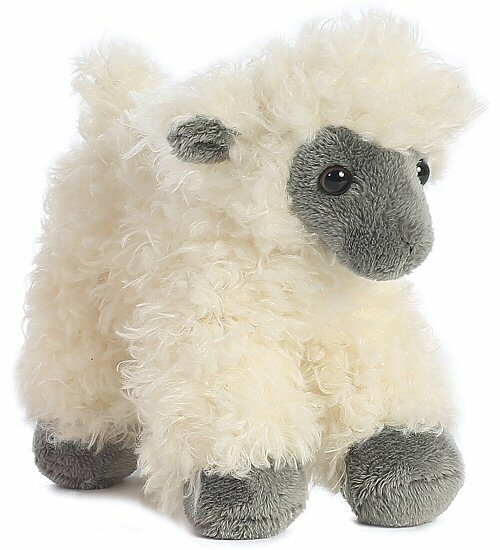 This adorable little Mini Flopsies plush Black Face Sheep is cute and cuddly with soft and fluffy cream "wool," warm brown eyes, and soft gray face, inner ears, feet and under-tail. 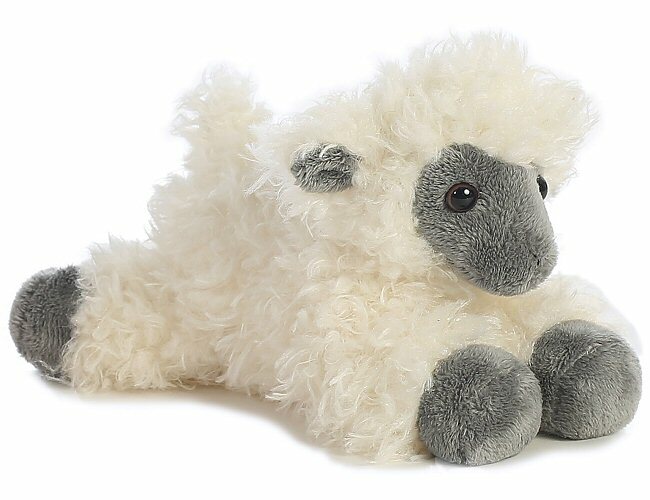 Part of the Mini Flopsies Collection from Aurora World, this blackface sheep stuffed animal has a huggable, understuffed body that can sit up, lie down, or stand. Fun Facts about Scottish Blackfaced Sheep: While all these distinctive sheep have long, coarse wool that is also light weight, did you know that both male and female black face sheep have horns?